Rev. 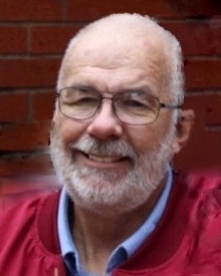 Stanley Ray Upchurch died Sunday March 31, 2019. He was born September 15, 1946 in Ardmore, Oklahoma as the only child of Major Stanley B. and Elizabeth G. Upchurch. He lived with his family in Brazil, Japan, Astoria, New York City, Baldwin New York, Atlanta Georgia, and finally in 1960 to Norman, Oklahoma. His mother was a teacher at several Norman Schools for 25 years; after 27 years in the Army his father taught at Norman High School until his death in 1967. Stan graduated from Norman High School in 1964. He entered the University of Oklahoma the summer of 1964. On February 14, 1965 Stan joined the United States Army and served in Korea, returning home to serve at Ft. Polk, LA and Ft. Sill Oklahoma. On May 2, 1969 he married Carol J Wages, the only child of Harrison and Mildred Wages of Norman, Oklahoma. Stan called himself a “Jack of All Trades and A Master Of None” for from 1969 until 1979 when he graduated from the University he was a store manager, stockman, dog trainer, horse trainer, parts manager, salesman of boots and campers. In 1979 he graduated from OU with a degree in Elementary Education. He taught at Central Elementary in Moore and Cleveland Elementary in Norman. While a teacher he studied for ministery and was ordained a Deacon in the Episcopal Diocese of Oklahoma. He served for 20 years as a Prison minister, Archivist of the Diocese and a minister/ deacon at St. John’s Norman and St. Timothy’s, Pauls Valley. He leaves behind his beloved wife of 50 years and only child, Kimberly Noel Shields and her husband Weston Shields, their sons Jordan and Jace. A first cousin Dr. Larry Green and his Wife Margie of Denver, Colorado, and second cousins Dr. Laura and Dave Nighorn of Chapel Hill, N.C., and Dr. Paul and Kimberly Hagelstine of Waco, Texas. Services will held 2:00 pm, Monday, April 8th, 2019 at St. John’s Episcopal Norman, Oklahoma. In lieu of flowers contributions may be made to St. John’s Episcopal Church Foundation.